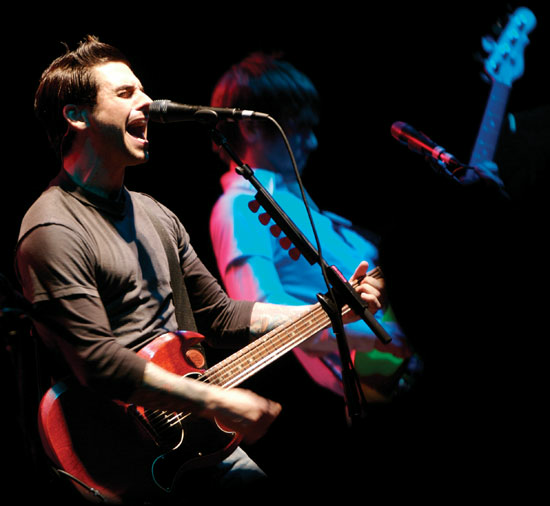 The Happy Girl Blog: Dashboard Confessional, TONIGHT! What has two thumbs and is doing a little dance in anticipation of a concert? THIS happy girl! Gah, I am sooo excited friends! 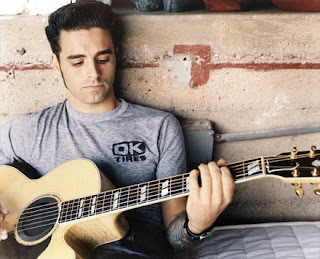 In December Chris Carrabba, the beautiful singer-songwriting force behind Dashboard Confessional announced a SOLO ACOUSTIC tour, starting in San Francisco. The 15 year old Adrian screamed like the little emo girl she is and I forwarded the e-mail to Billy, who bought me tickets to the show for my birthday. Hello 18 year old Adrian, cuddled up to Chris! Sorry for the size and pixel quality, this was pre-digital camera and was probably scanned onto my computer, to rot in photobucket hell, until this very moment! Hello, handsome, moody, wonderful Chris! My love affair with DC is long, filled with moony eyes, fully memorized lyrics to every great song, and car ride singalongs. I won tickets to a Dashboard Confessional concert in 2003, and took Billy with me. It was one of our first concerts together. We were able to attend the sound check, then meet Chris and the band. I had a signed poster on my wall for a long time, and to this day I still carry my college ID card, 7 years after leaving the school, because Chris autographed it. True story. The venue, Slim's is super awesome. It's on the small side, which creates an intimate feeling for a show. I think it's absolutely perfect to see Dashboard Confessional do a solo acoustic show. Random fact, I saw Fall Out Boy here in 2004. Billy and I will be having dinner at Slim's before the show, and I can't wait. It's been a very long time since I have seen DC live, and I am a giddy mess. I hope you all are looking forward to something this week as much as I am looking forward to this concert! I hope to have a very good recap for you later, I'm crossing my fingers it's a good one! aww i heard he is really good!